GoneRoaming had the most liked content! We to have pledged support with James Frazer but feel very sad that it has to come to this. I'm properly going to get knocked for what I'm about to say but i feel very strongly about my rights. when we brought our boat we were well aware that we could not use all the Broads system. we cant get to the north Broads as we cant get under Yarmouth bridges. 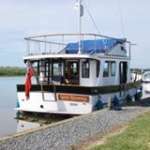 we like the Southern Broads as it is a lot quieter and suites our needs. however we love Oulton Broad but now cant take the risk of going there if there is a chance that we cant get back. we pay our tolls to the BA for using 100% of the Broads System, with out the north Broads we are down to about 30% of the system. now with the swing bridges as they we are down to 20% of the system. i wouldn't mind so much but the last 2 years has seen my river toll rise by 21.5% for now using just a fifth of the system. how can this be right or fair. The BA must look into compensating larger boat owners on their river toll because as i have said before "if you went to a garage to fill up with petrol and you only got half a tank you wouldn't pay for a full tank would you" there is no difference The BA could then claim the difference from NR as it is their fault the bridges are like they are. What would have happened in the 70's with the coasters using the river Yare. there is a right of navigation and it must be enforced. He did draw the line when the Otter comes calling. Our cat loves the boat and all the wildlife, he's my best mate. The fees normally start from 27 foot minimum thats why it's not fair. your 32 foot boat will be going up in toll. i have a 30 foot boat behind me and his has increased as well. I love Norfolk and enjoy boating here but i am now thinking of moving to the south coast. it's not about the money it's the principal. If your fuel bill at home went up by the same amount the Government would step in and stop it or you change suppliers. we cannot change The Broads Authority they think their God and need to be stopped. i have just written to my MP and complained but i am not holding my breath. Toll's, is the policy unfair or even illegal? We could be possibly be in this same situation in the near future and I strongly believe the BA are acting illegally, you are in fact being charged twice and that to me is wrong. if I were to change my boat in January I would have to pay a new toll of £500+ and then another £500+ in April, so between April and January next year I would have paid £1000+ for the same boat. the only way to challenge this to me would be through the Courts if you want to go down that road. I would say offer the BA the difference, that is £125+ for the months January to April, then pay the full toll £500+ in April. if this was refused they would then take you to Court for their full amount and the judge would decide if they could charge you twice. I am sure it would turn out in your favour. this could also open a big can of worms as I am being charged for waters I cannot use as I cant get under Yarmouth Bridges with the new boat. Tell me your thoughts, I'll put my tin hat on. what a fantastic week end yet again, finishing with my best Rudd ever, just short of a pound.